Available from April 1: This apartment (completely furnished) is located in a quiet street with ample parking and within walking distance of the Circustheater, Kurhaus and the beach. 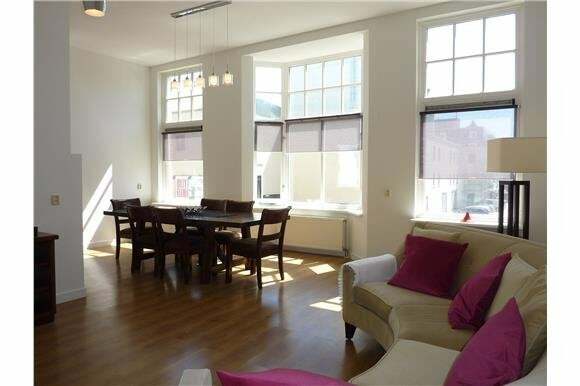 The apartment is located in a monumental building and has a spacious terrace at the rear. There is also a storage room for storing bicycles. The home is modernly furnished and equipped with high quality furniture. The bathroom is a feast for the eyes. The bedroom has a modern wardrobe and a high-quality box spring bed for 2 people. The L-shaped living room receives beautiful light through the large windows at the front. In short, this property is highly recommended for a single or couple who is looking for a beautiful home and environment near the sea but is also looking for peace.